The surgeon’s efforts are being watched by other physicians across North America as the device hasn’t yet been approved in the United States. El-Hawary is also hearing from patients as far away as South America and Australia who are interested in the ApiFix approach. He has performed the surgery six times in Halifax, and more are planned in the coming weeks. “First and foremost, I would like to be able to offer this to the patients in the Maritime provinces. The only time we’re doing extra patients from elsewhere, we’re doing our best not to displace local patients,” said El-Hawary. In Ontario, Jessica’s mother said she did her homework before opting for something so new. She believes it was a risk worth taking. 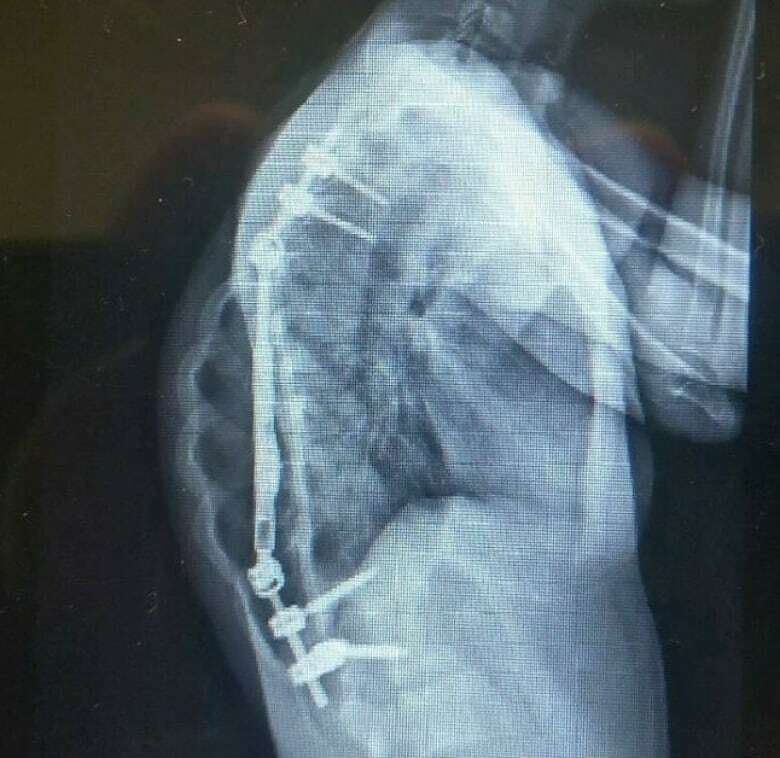 Tracy Robb said it was shocking to see the before and after X-rays of Jessica’s spine after her Nov. 2, 2017, surgery. Jessica says she also no longer relies on puffers to help her breathing. Best of all, she never has to wear her brace again.